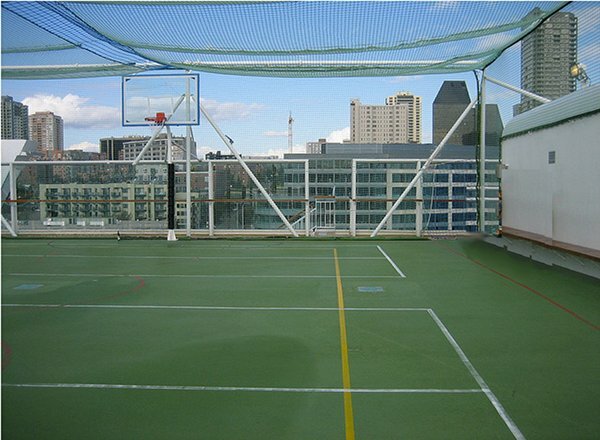 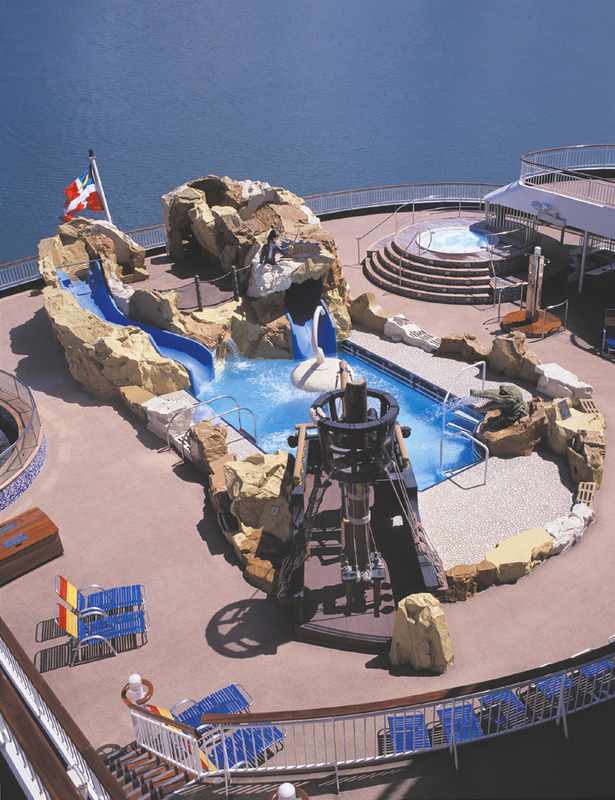 Deck 13 features the Bier Garten, Celebrity Disco, Star Track, basketball, volleyball, a golf driving net, an observatory deck, and a helipad. 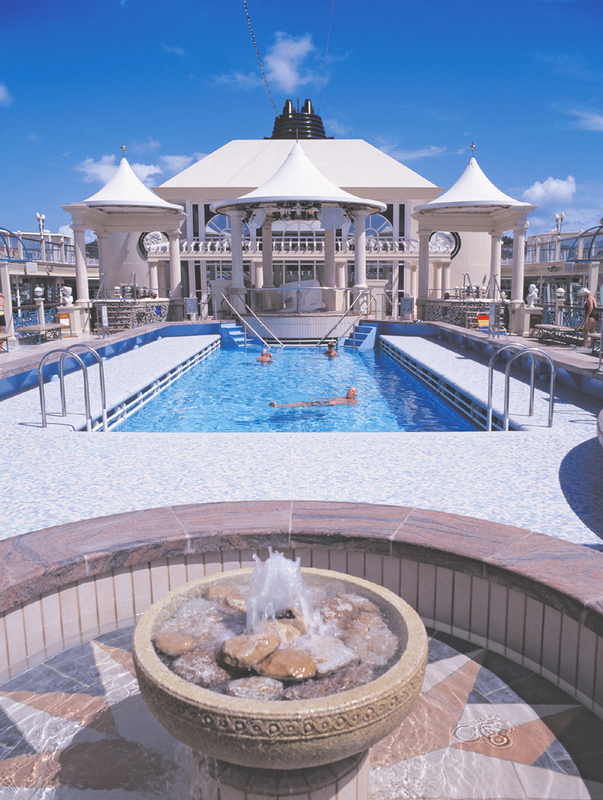 Deck 12 features Galaxy of the Stars, Raffles Court, Raffles Terrace, La Trattoria, Roman Spa & Fitness Centre, Tivoli Pool, the Observatory, library, smoking room, writing room, card room, Mahjong room, and Oscar's Hair & Beauty Salon. 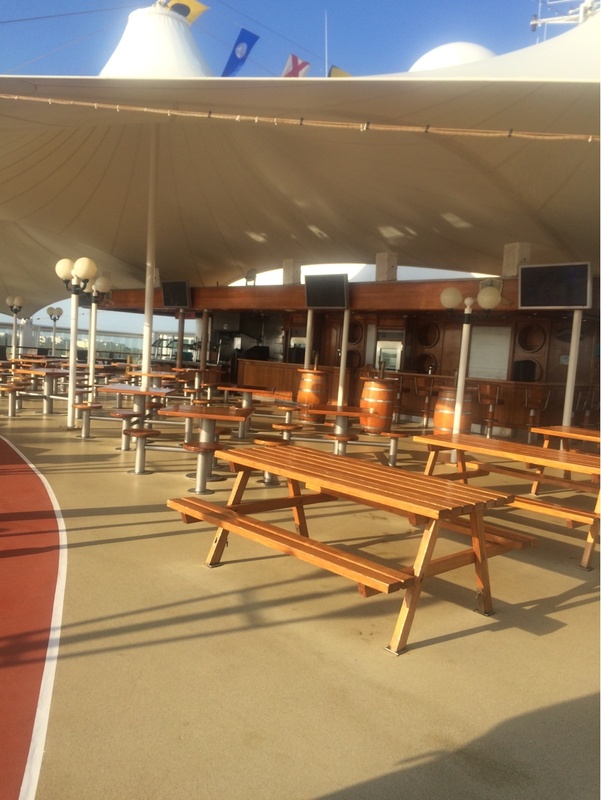 Deck 11 features staterooms in categories B3, BA, BC, IA, IB and IC, as well as Buccaneer's Deck Amphitheatre, table tennis, and the bridge viewing gallery. 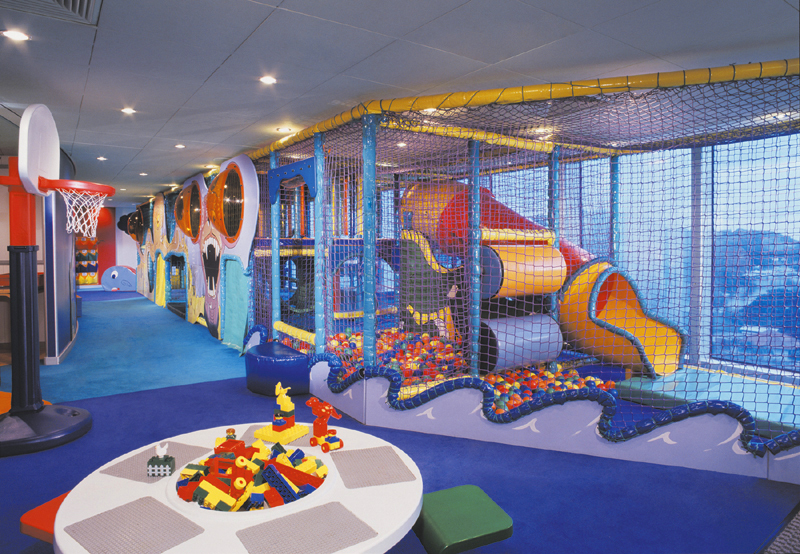 Deck 10 features staterooms in categories SE, SF, B3, BA, BC, I2, IA, and ID, as well as Buccaneer's Wet & Wild, and Charlie's Child Care Centre. 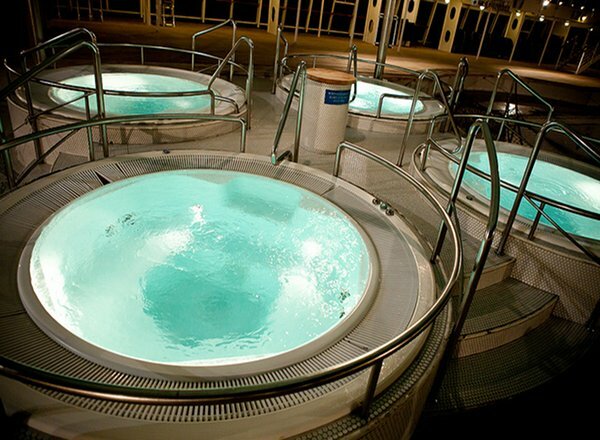 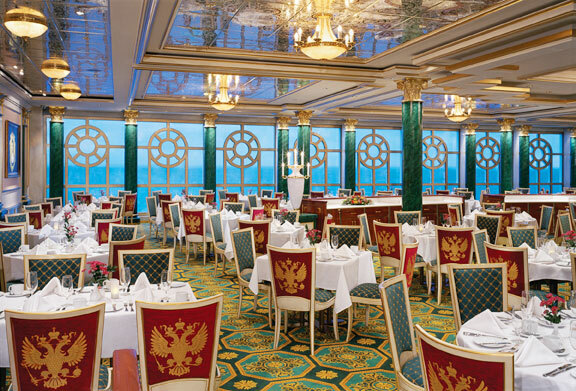 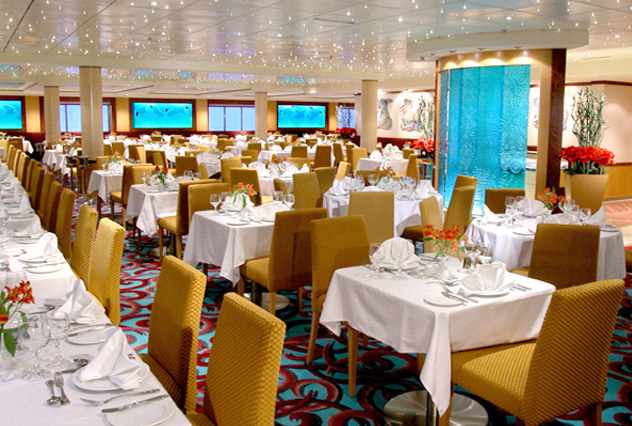 Deck 9 features staterooms in categories SB, SG, BB, BD, BX, OA, I1, I2, IB, and ID. 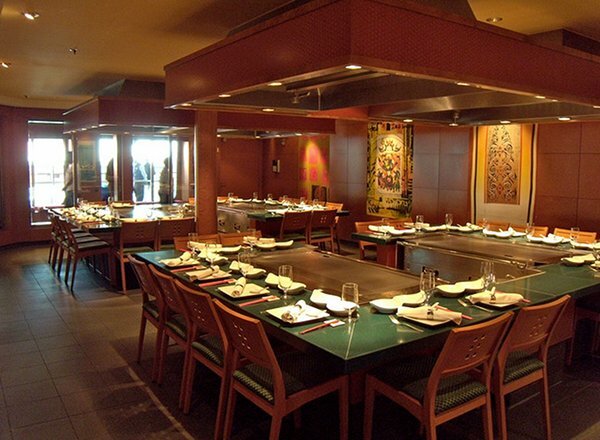 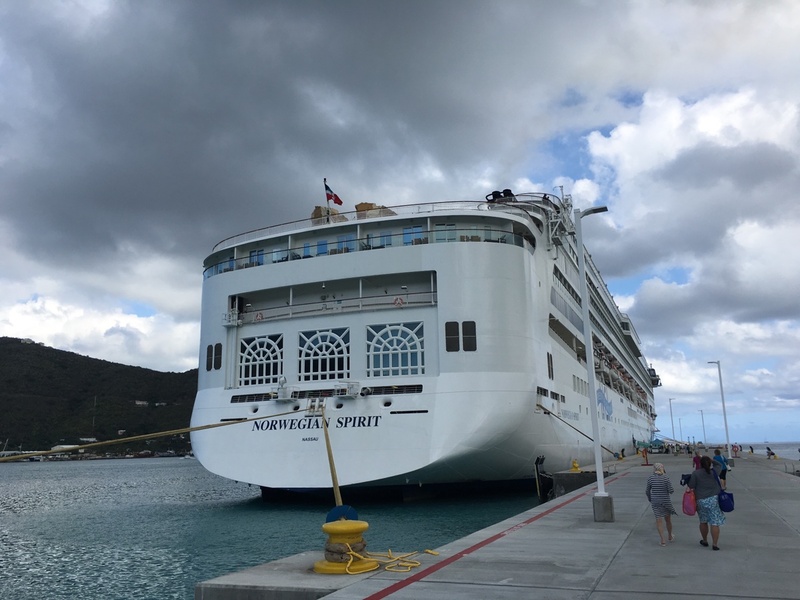 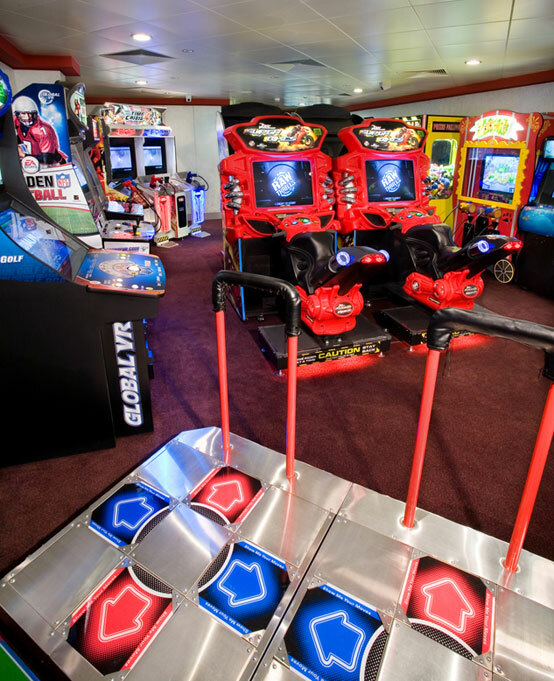 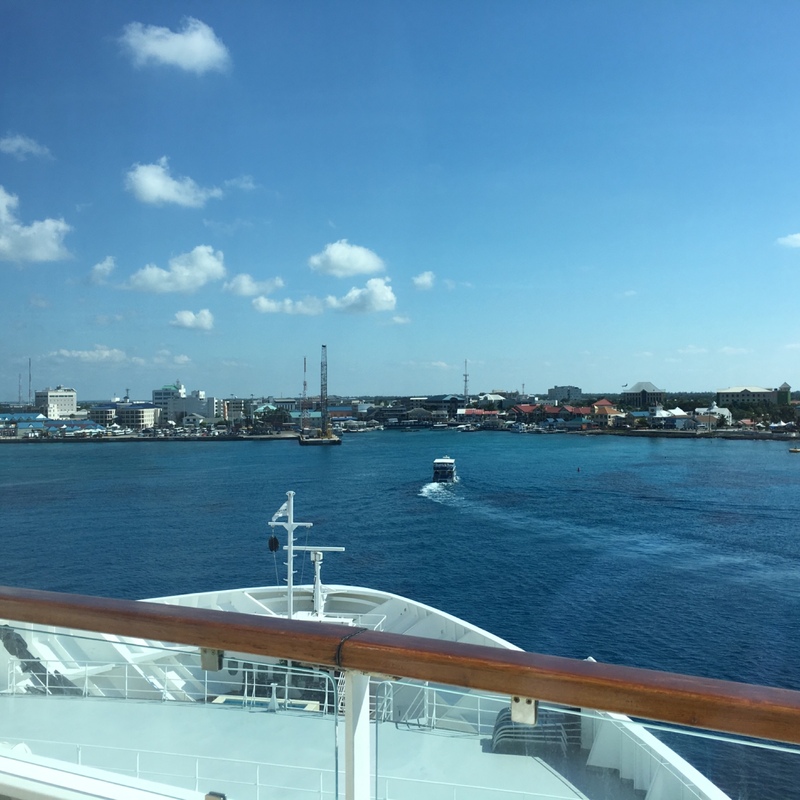 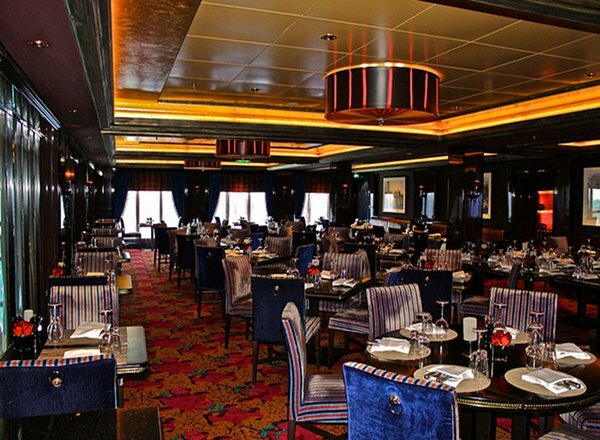 Deck 8 features staterooms in categories O3, OA, and ID, as well as the Stardust Theatre, Shogun Japanese Restaurant, Champagne Charlie's, Sunset Boulevard, Boutique shop, photo shop, and the Photo Gallery. 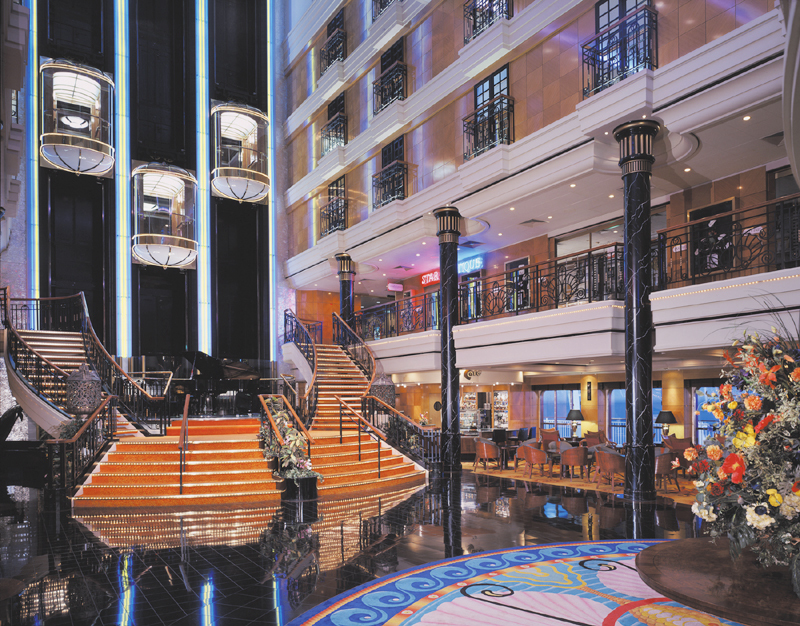 Deck 7 features the Stardust Theatre, Cagney's Steakhouse, Le Bistro, the Cafe, Grand Centrum, Maharajah's Casino, Maharini's Lounge, Henry's Pub, Blue Lagoon Cafe, Shanghai Bar, karaoke rooms, and the promenade. 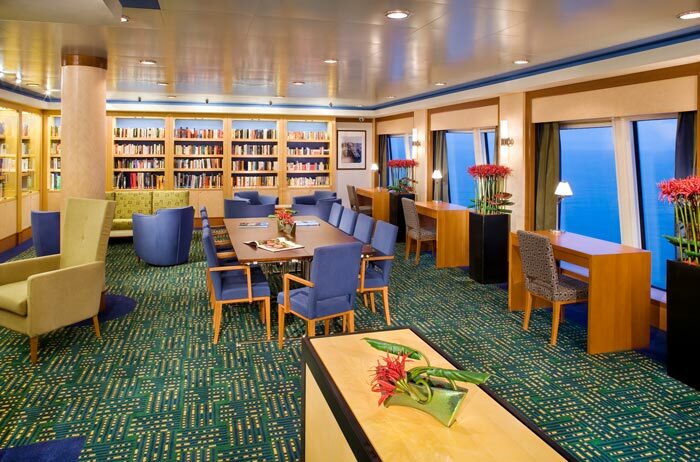 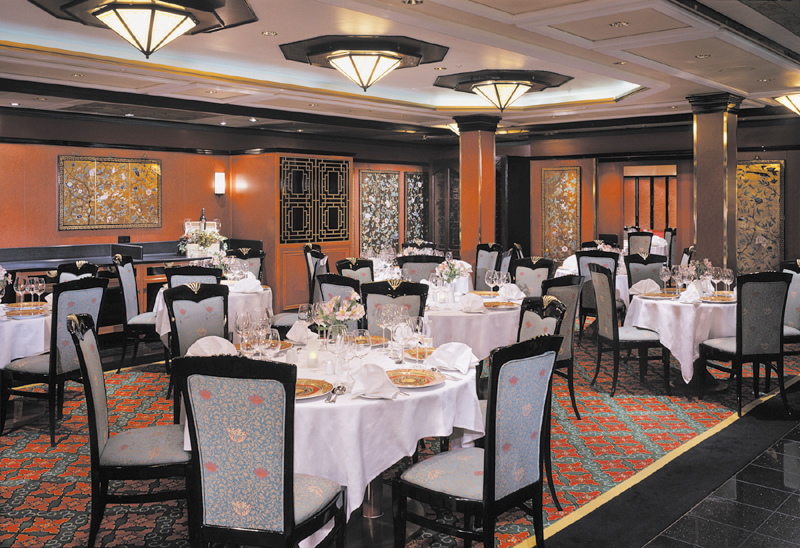 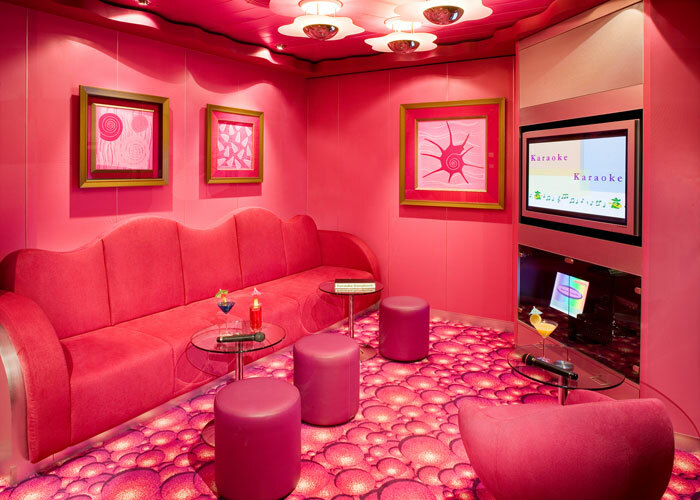 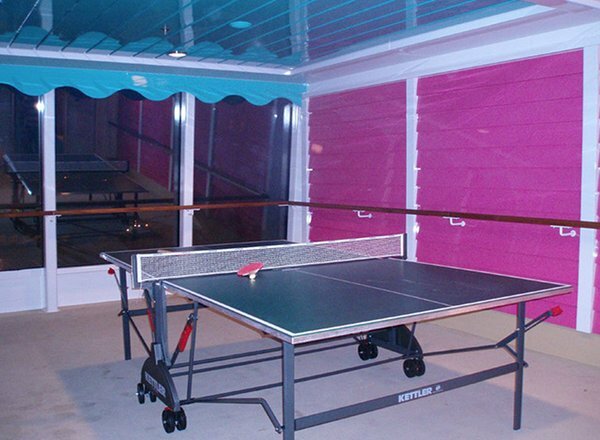 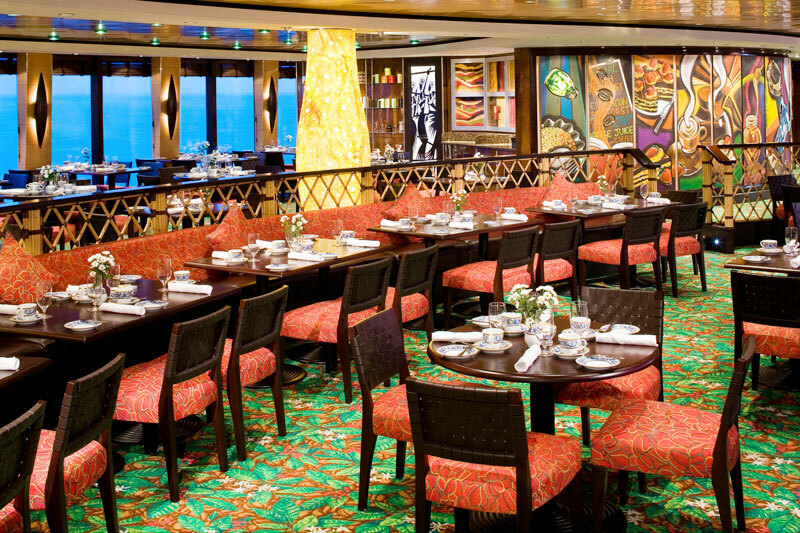 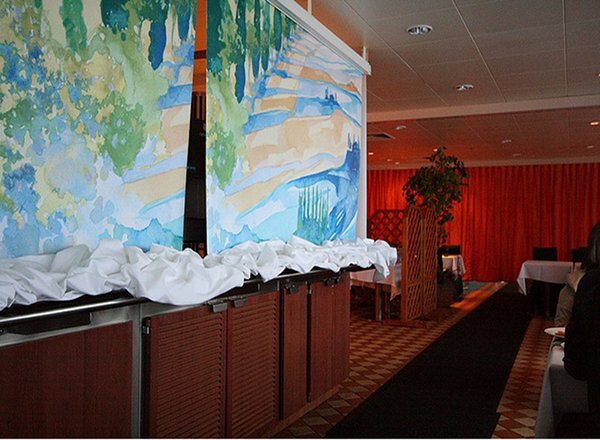 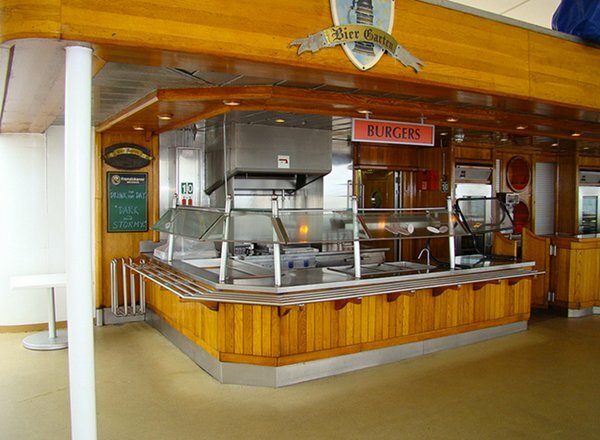 Deck 6 features staterooms in categories OB, OC, OG, I2, IE, and IF, as well as the Windows and Garden Room restaurants. 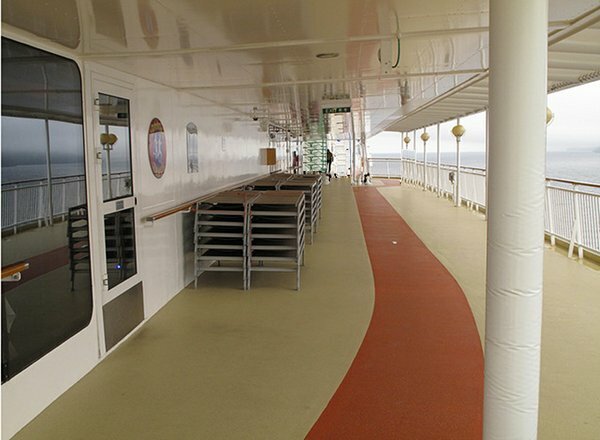 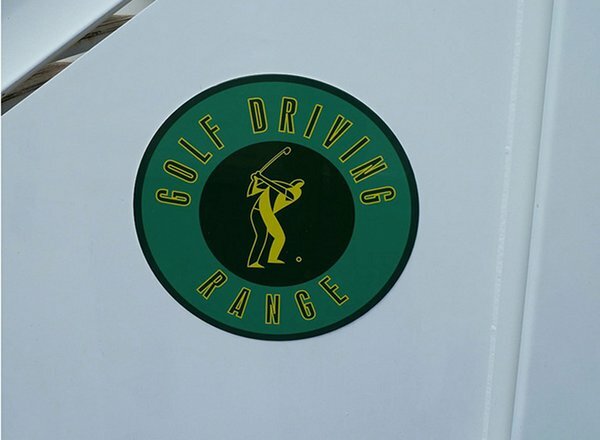 Deck 5 features staterooms in categories OB, OC, OG, I2, IE, and IF. 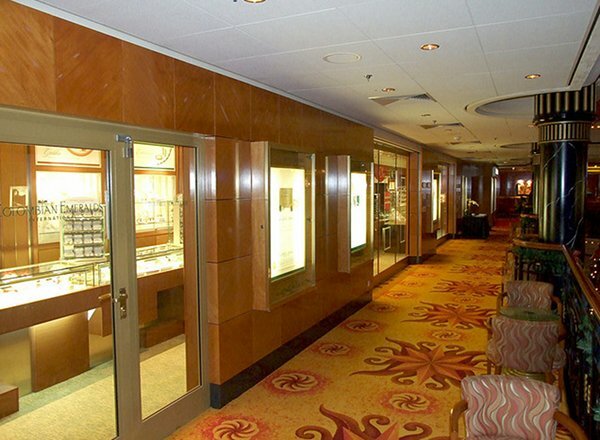 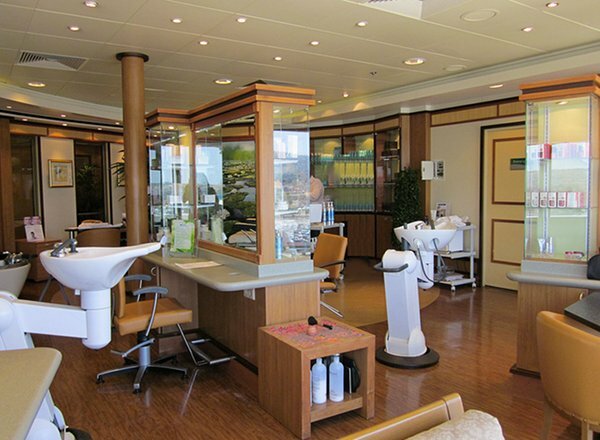 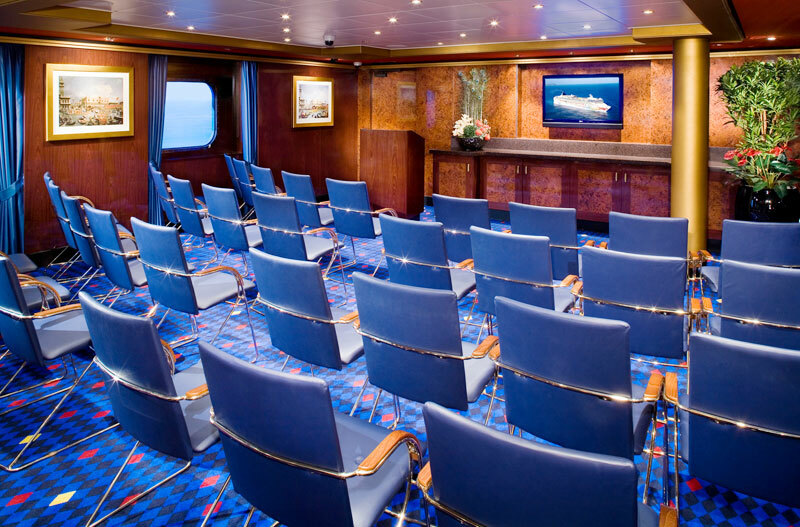 Deck 4 features staterooms in categories O2, OF, OG, OX, I2, IE, IF, and IX, as well as the medical center.